Subversion is a open source version control system that will manages files and will keep the changes made to the files. In this post i will share the quick steps to install and configure subversion on linux CentOS 6.2 server. Apache Subversion (often abbreviated SVN) is a open source software versioning and revision control system. Some people called it source code control(SCC) software and source code management(SCM) software. By using subversion, developer will able to keep tracks the changes of their code, who is authoring the file, compare the source code and etc. 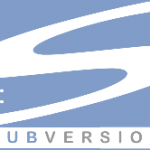 In this post, i will show how to install Subversion 1.6.17 on linux Fedora 16 server. This post assumed that you have set up local yum repository using your DVDROM and had installed minimal installation type Fedora 16. In this post, i will show you on how to install GForge Advanced Server on CentOS 5.5 Server. Do you want to perform an (I)nitial installation or an (U)pgrade of the system [I/u]? Question : How install dependencies for GForge Community Edition and GForge Advanced Server? Question : During the installation such as gforge Collaborative development, the following dependencies were not found: PHP MultiByte. How to install PHP MultiByte into my linux server ? What php extention should i use? Answer : You just need to run below yum command to install PHP MultiByte on your linux server such as CentOS or RHEL. This will PHP with mbstring support. As mentioned in the previous post, Subversion is a open source version control system that will manages files and will keep the changes made to the files. Subversion 1.6.17 has been released on 1st June 2011.For those who have installed subversion 1.6.16, they can simply upgrade the version to subversion 1.6.17. Make sure you have backup the repository before run manual upgrade which mean uninstall the old version and install the latest version. Reusing existing connection to opensource.wandisco.com:80. This article assume that you are using the subversion server to control your development source code. For beginner, i believed most of you has facing this error when you try to check in or connect to your subversion repository server. Error and symptoms : Repository moved permanently; please relocate. 1. Apache DocumentRoot cannot same with the SVNPath or SVNParent. Don’t Do this! 2. SVNPath or SVNParent does not overlap Apache Documentroot. Don’t Do this! 1. Apache Documentroot and SVNPath or SVNParent must be in the different physical path or directory, so that it does not match the url.